I haven't used any cream or moisturiser over the past 5 years that is in my late 20s. I have started to take my night cream and skincare regime quite seriously now onwards, early new year resolutions you might say 😉😉. I was a big time jerk when I thought that moisturiser or cream causes acne 😲. 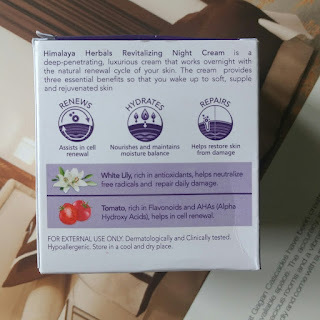 I asked one my favourite bloggers and she suggested me to use the Himalaya Herbals Revitalizing Night Cream and am totally loving the results. 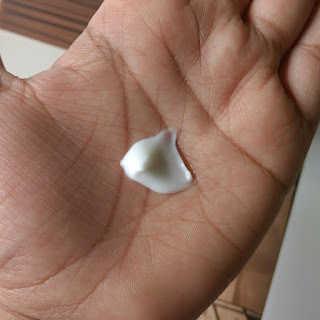 Read more to know how my skin loved this cream and what benefits it has to offer for acne prone oily skin. The cream comes in a heavy glass jar packaging with a twist cap. 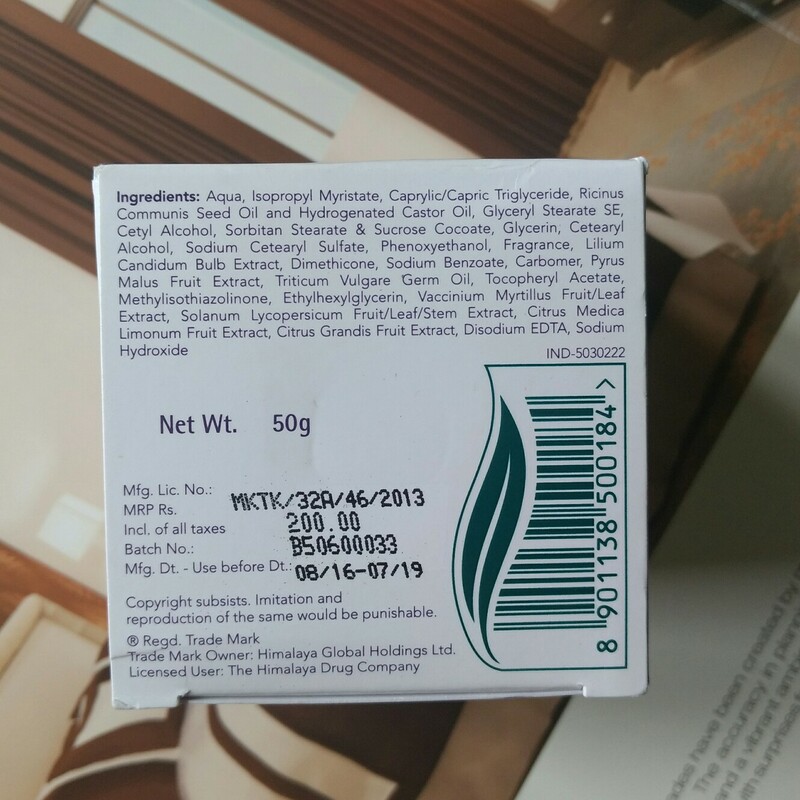 The cream is white in colour and has a pleasant floral fragrance. The fragrance is not at all bothering and remains for some time after applying the cream. Once I start using the cream, first few days the fragrance was a little bothersome, all thanks to my picky nose. After few days I got used to it and it didn't have any problem. The fragrance is very subtle but I don't like fragrances of floral kinds and my picky nose immediately sneezes 😞. 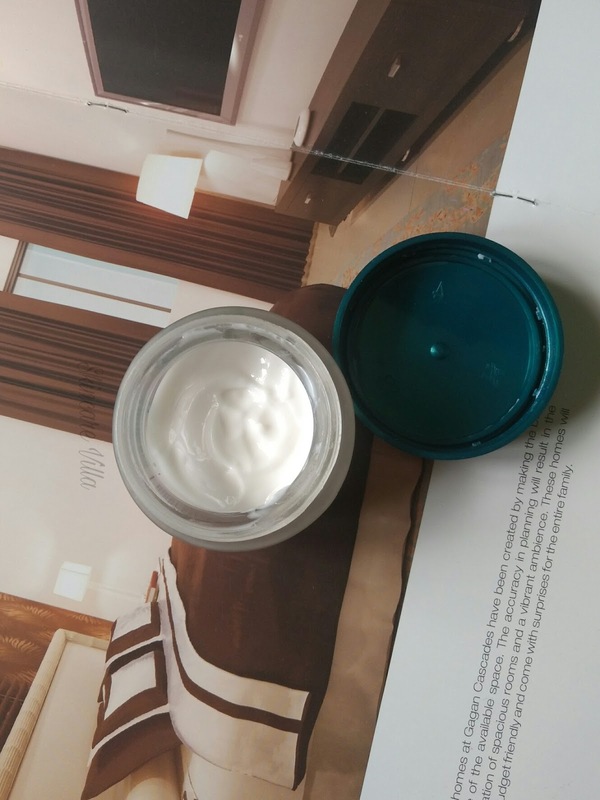 Now coming to the texture of the night cream it is a bit gel sort and thin consistency. The cream is light weight in short. The cream spreads easily on the skin and gets easily absorbed in the skin and doesn't leave a oily residue behind. Even if we apply the cream in excess, it doesn't feel oily. A very less quantity of cream is required for the whole face. After applying the cream I felt fresh and rejuvenated. The cream hydrates and moisturises the skin sufficiently. The facial skin becomes plump and even toned after applying this night cream. Skin feels smooth and soft after applying and in the morning visibly smoother skin is what I wake up to. I have oily skin and it didn't break me out or didn't make my skin look or feel oily. It works on pigmentation very slowly due to AHA in it, rather it takes around one month to show visible effects. But that is not a problem as the cream is paraben free and the major reason am using this cream is for basic moisturization purpose. For me that is important rather than reducing my pigmentation. I have also seen any visible effects on my acne scars, but very slowly it works on them. Don't expect overnight results, slowly and steadily it does show effects. Have patience😃. Price, Shelf life and availability - 200 INR for 50 ml with a shelf life if 3 years. Easily available online as well as in stores like Amazon. 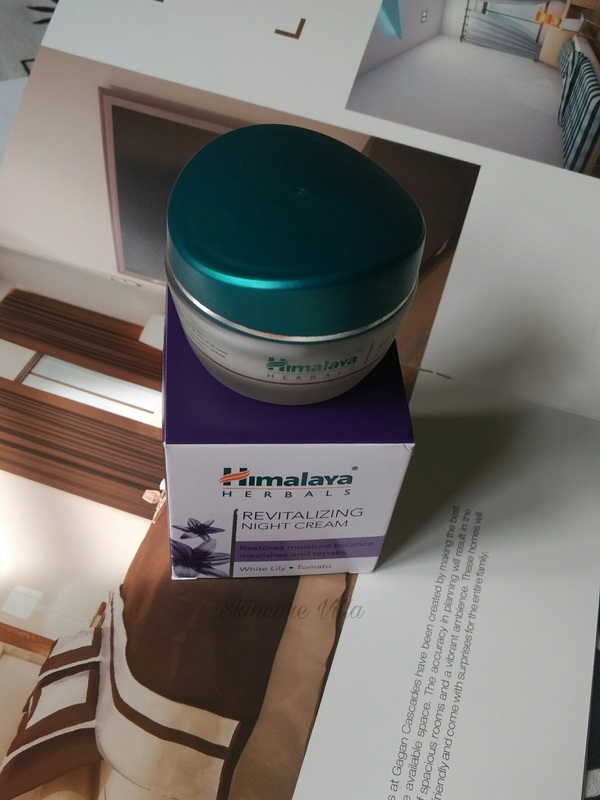 I would totally recommend the Himalaya Herbals Revitalizing Night Cream for oily skinned beauties who are looking out for basic night time skincare routine. It works on pigmentation and acne scars but very slowly, rather it takes months to show visible effects. 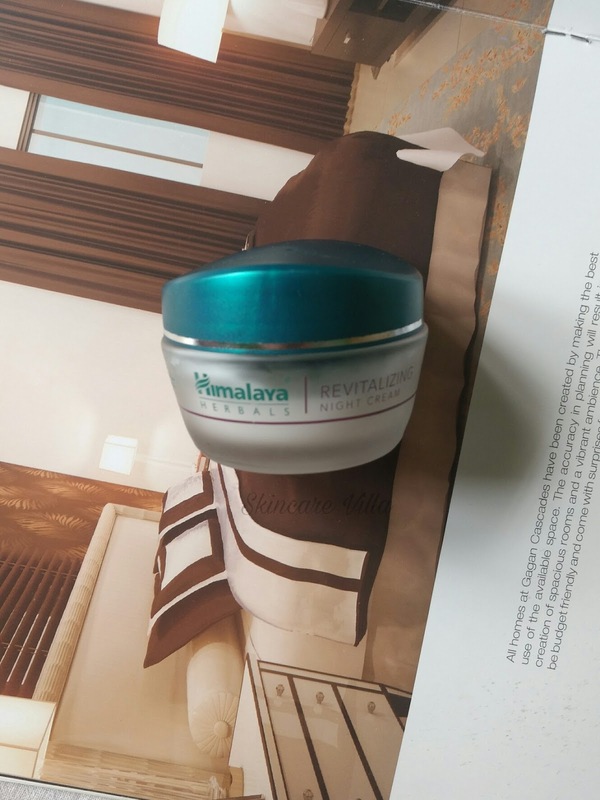 It may not suit dry skinned beauties as the cream is very lightweight and won't provide sufficient moisture to dry skin. However I have found my Holy Grail night cream for my oily acne prone skin. Do give it a try if you have oily skin 😃.